Do you have a kid in softball and want to know how fast they throw that ball? Do you live in the race pits and want to know how fast your car is going? Maybe measure the speed of a golf swing. Well, check this out. Todd Cochrane found Steve from Pocket Radar. 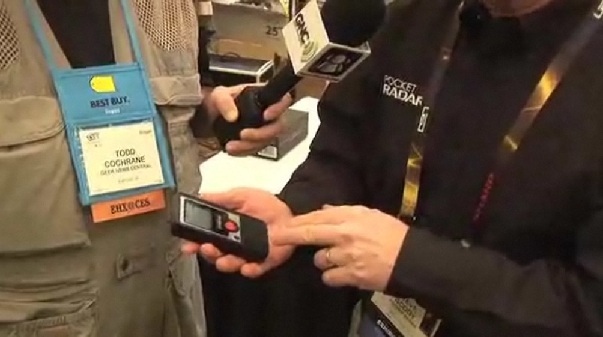 A device that looks like a cell phone, but it can scan the speed of a fastball. It can track a ball, for stats, training or a lot more. The planar antenna is actually in the device and the Conical beam is pretty good. You can get it pre-order for $199, with a $249 retail price.